Waterproofing and vapor retarder membrane is great for tiled wall and floor applications where water vapor permeance is a concern. 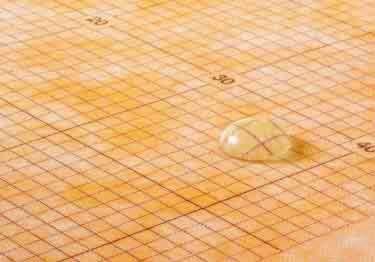 This pliable sheet-applied polyethylene waterproofing membrane guarantees uniform thickness. It is constructed with anchoring fleece on both sides to anchor the membrane into the thin-set mortar. KERDI is 8-mil thick and has a water vapor permeance of 0.90 perms. Schluter-KERDI-DS is a 20-mil thick bonded waterproofing membrane and vapor retardant that features additives to produce a water vapor permeance of 0.18 perms. KERDI-DS has a very low water vapor permeance and is great for use in continuous use steam rooms and similar applications. KERDI is 8-mil thick with a water vapor permeance of 0.90, when tested according to ASTME96, using Procedure E at 90% relative humidity. KERDI-DS is 20-mil thick and features additives to produce a water vapor permeance of 0.18 perms. Waterproofing and vapor retarder membrane is great for tiled wall and floor applications where water vapor permeance is a concern. This pliable sheet-applied polyethylene waterproofing membrane guarantees uniform thickness. It is constructed with anchoring fleece on both sides to anchor the membrane into the thin-set mortar. KERDI is 8-mil thick and has a water vapor permeance of 0.90 perms.